These 11 crowdfunding campaigns offer some creative church fundraising ideas to raise big money for your church project or cause. I got an email from a pastor about church fundraising ideas after last week’s post on planning your Giving Tuesday fundraising campaign. 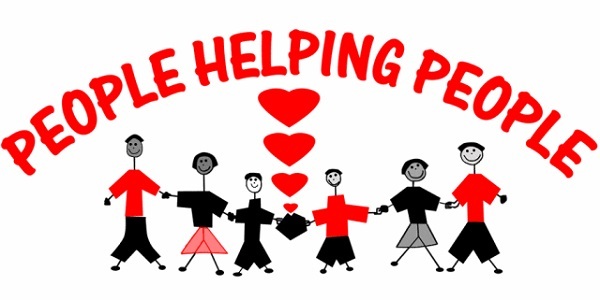 I thought I would check in with the church fundraising campaigns we highlighted in this post and add some more ways to raise money for your fundraising campaign. Non-profits and social causes have been two of the biggest beneficiaries of the crowdfunding movement. The ability to reach a massive audience beyond their own congregations or communities has helped many raise much more than they ever dreamed possible. Like many repeat backers, I look through crowdfunding sites regularly for business and non-profit crowdfunding campaigns. 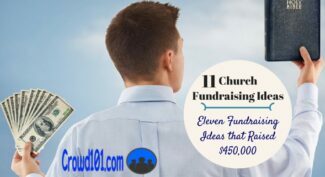 The 11 church fundraising ideas below caught my eye recently as great examples of how non-profits are using crowdfunding. Across the church fundraising campaigns below, more than $450,000 is being raised through crowdfunding. If you need more than that, you better look to winning the lottery! First, in case you haven’t yet heard about crowdfunding or if you’re still a little skeptical of the online revolution in church fundraising, check out my recent webinar with small business site Manta about crowd funding. Crowdfunding is not unlike raising money for a special project through your community or congregation. The only difference is that you talk about the project and ask for donations across a much wider audience…the entire online community! Don’t think crowdfunding is as easy as putting your campaign on GoFundMe and waiting for the money to come in. Nearly two-thirds of fundraising campaigns fail to meet their goal and a good chunk raise no money at all. It’s because not enough time is spent on learning the process of crowdfunding. Being used to fundraising ideas in the non-profit world, you’ll have a head start but you still need to learn how to reach an online audience and spread the word. I share a lot of tips and tricks here on the blog but you can get the entire step-by-step process with Step-by-Step Crowdfunding. I outline everything in an easy-to-follow process including setting goals, getting others to promote your campaign and leveraging your crowd campaign for more fundraising down the road. I'm excited about the information we got from these crowdfunders, especially after our other post on school fundraising ideas in crowdfunding. The church fundraising ideas I’ve posted below were chosen not only because of their message and mission, but because they offer some valuable tips for other church fundraising campaigns. Click through the links and check out the campaigns before launching your own. Please use the social networking buttons on the left of the screen to share with others how they can raise money for their church fundraising ideas. Eli is crowdfunding $6,000 to travel with the Intercultural Studies program at Lee University to Phnom Penh, Cambodia. The team will work with People for Care and Learning to build a city for those displaced in the local community. Eli’s is one of the few crowdfunding campaigns I have seen to open his audience with another language on the campaign page. He provides both English and Spanish versions of his campaign. While your own personal network may not extend to other languages, it’s something to think about especially if you can get people that speak the local language of where you will be going to support the mission. Eli ended up raising $5,718 in eight months from 51 people. He had 323 shares on Facebook and Twitter, which went a long way to spreading the word and hitting his fundraising goal. His last update on the church fundraising campaign was six months ago so he may be missing out on future success by not updating his crowdfunding community. Your closest friends and family are always going to know how things turn out but you want to keep your larger crowdfunding community updated for as long as the page is up. Sharing in the experience and the campaign’s success with others makes it much more likely they’ll donate again in new campaigns. While getting your existing fans to help spread the word will help, you’ll need a lot more than that to be successful. Check out these 19 ways to promote your crowdfunding campaign – all free! Emily is a preschool assistant and college student that has been given the opportunity to share God’s love with the children of Bali for the summer. She is raising $3,000 for the trip and living expenses. Emily has already been to Bali once and posts a great video of her trip to the Pelangi Kasih School. A good video is absolutely a must for crowdfunding campaigns but something that a lot of church fundraising campaigns leave out. Your congregation may know who you are and what you want to do but the rest of the world needs to see that you are a real person. Emily’s campaign raised just $919 in 23 months and offers some clues as to why. She only posted two updates, both about eight months ago, and has had 98 shares on Facebook. Crowdfunding campaigns, especially for church fundraising ideas, are all about communication and creating that personal bond. People don’t support campaigns, they support people. Some of the communication is made easier with social media management tools, which we’ll talk about below. It will start to seem repetitive messaging out your campaign updates on different social media sites everyday but understand that your community won’t see every message. You have to make sure they see at least one update every few days at minimum. Christopher Gregory was called to China in 2012 to win the Chinese people to Christ. He just recently returned to stay and raise up a church and crowdfunding $25,000 for the mission. 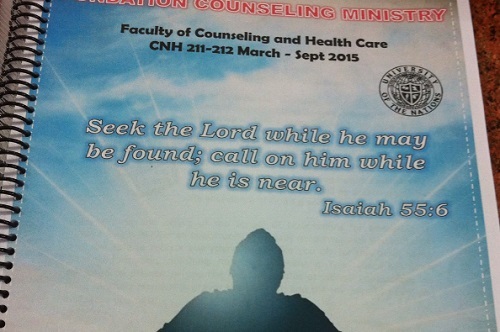 Never before has the gospel been more welcome, more tolerated in China than today. This is because this is China's time for revival and God is sending those who will preach the gospel and nothing more. Christopher does a great job of bringing in visitors to the page with a message and sense of urgency. You have to understand that, while you may be passionate about your church fundraising idea, the rest of the world may need convincing. The crowdfunding campaign brings people in with some staggering numbers on understanding of Christ in China and then helps them see exactly what they can do. Christopher was only able to raise $5,214 for his church fundraising campaign on GoFundMe but has taken his campaign to his own separate page and continued to raise money. A lot of non-profit fundraising campaigns do this, finding their initial success on a crowdfunding website before launching their own page. You can keep the crowdfunding campaign open and just direct people to your own site to save on fees. This also helps to share more of yourself and your campaign on your own site, building a stronger bond with the community. 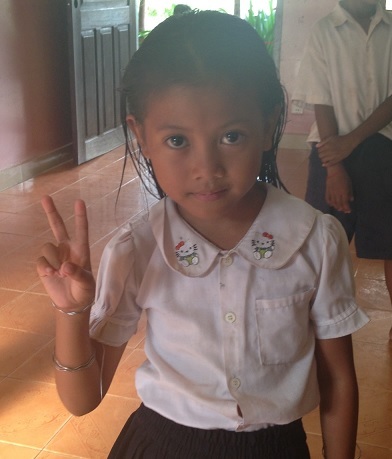 Chasity is crowdfunding $2,000 for her mission trip to return to Cambodia to share God’s message. She admits that, like a lot of others, she had to overcome many doubts before crowdfunding. She stepped out in faith knowing that God delights in those stepping out from the comfort of the known. She told me that she was changed forever on her first trip to Cambodia, witnessing so many miracles in the forgotten nation. Chasity does a great job communicating with her community in the campaign. The first thing you will notice on the page is her updates of personal and heart-felt thank you notes to supporters. Remember, your supporters are not working on the campaign constantly and can feel dejected if they don’t receive regular updates on progress. They have become part of your community and you need to nurture that feeling of togetherness with communication. A lot of crowdfunding campaigns get discouraged when the world doesn’t beat down their door to fund their project. They end up running to a crowdfunding promotion service that just ends up taking their money and setting them further from their goal. Understand why most of these fundraising promotion services are a scam and how to promote your own campaign. Colby and fiancée Meredith are raising $6,000 to take over $50,000 worth of medical supplies to a children’s hospital in Kenya. He told me that crowdfunding has been a great way to reach friends he has throughout the nation and it shows with the campaign’s level of social shares. The campaign has 92 shares on Facebook and 18 tweets on Twitter. This is really the power of crowdfunding, reaching out to your extended social network to share your message. You’ll need to utilize your social network for your church fundraising idea. Data on crowdfunding campaigns shows that campaigns where the founder had just 10 Facebook friends, the odds of making a $10,000 goal were just one-in-eleven. For campaigns where the founder had 100 friends or more, the odds jumped to one-in-five. Cassie is a full-time missionary with the non-profit Christian organization, Youth With a Mission (YWAM). She has been working mostly in the Caribbean but is crowdfunding $4,200 to get in-depth biblical counseling training in Chile. She says that crowdfunding through GoFundMe has been great because it is much simpler and much more efficient than she anticipated. Getting funds processed through her organization can take as much as six weeks but GoFundMe has helped to raise money for short-term goals. Cassie’s campaign is a great example of using images to build a sense of community. The first thing you notice on her page is that she makes people feel like a part of what she is doing with tons of pictures. Your pictures do not have to be professional quality. If you can help people to feel like a part of something bigger than themselves, they will be gladly support your church fundraising idea. Cassie beat her church fundraising goal and raised $4,211 in just seven months from 38 people. Looking through the successful campaigns like Cassie’s, you’ll see common traits to follow. She had 23 updates in just three months, sharing her experiences and joy every chance she got. She constantly posted pictures and really gave the community the opportunity to share in the trip with her. This brought in a lot of repeat donors by people excited to see the journey continue. Matan is spreading the word to help foster inclusion and participation for people with disabilities. He is raising $125,000 for living expenses and to travel as a speaker for up to 18 months. Matan’s page makes good use of outside media to promote his campaign. In his most recent update, he invites people to listen to his speech at Coe College in Iowa on the local NPR station. He also provides a video of another speech he gave in Atlanta. One of the problems with crowdfunding is that people believe there is a ‘crowd’ waiting to hear their message. While there is a multitude on the crowdfunding sites everyday, you need to reach out through bloggers, social media and other sites to really draw people to your campaign. One of the best ways to get traffic to your crowdfunding campaign is through your own website and blog. Post once a week for a couple of months before the campaign and you’ll start seeing traffic from Google search to your campaign. 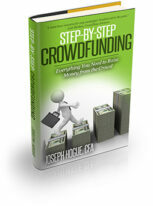 Learn more about maintaining your crowdfunding blog. Dr. Michael Yeager, Pastor of Jesus is Lord Ministries International, is raising $120,000 to buy back the mortgages for the church’s property that have been bought by a group of attorneys. The campaign does a good job of detailing exactly what has happened to this point, something that crowdfunding supporters like to see. The internet is still a very uncertain place for many people and people need to see those details to clear up any doubts about your campaign. Make sure you include enough detail about what you are doing and why so supporters see you as a real person and not just someone online. The Delta Chi Chapter of Kappa Sigma Fraternity at Mississippi State University are turning to crowdfunding for their Seventeenth Annual Charity Classic and raising $100,000 for the Starkville Area Habitat for Humanity. The campaign really shows the power of grassroots fundraising and making your crowdfunding campaign a local event as well as online. The fraternity has raised $54,000 through t-shirt sales, ticket sales and other advertising. Even if your church fundraising idea is not a local event, much of your support will come locally so it is important not to just throw your campaign online and neglect the local community. Michael Herndon, Senior Pastor of the Impact Church of Baltimore, is raising $50,000 to support the church’s ministry in the nine-million person Baltimore/Washington D.C. region. The campaign offers visitors the opportunity to donate any amount but also suggests six different reward levels from $10 to $1,000. While supporters are not actually given a tangible reward as they would on a rewards-based crowdfunding campaign, the suggestion is still a powerful one. If you’ve been in church fundraising long enough, you probably know that people need to be asked directly to support God’s word and this is best done with defined levels of donation. Crowdfunding doesn’t mean you have to do everything yourself. In fact, a big part of running a successful campaign is deciding what you can do and what is better left outsourced. 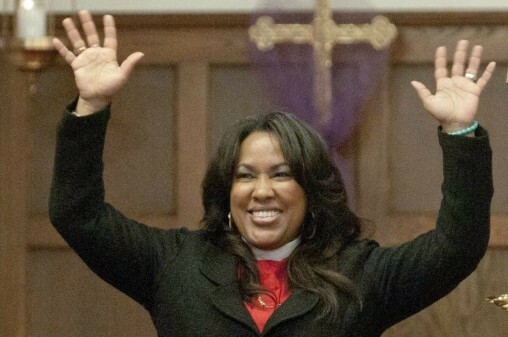 Bishop Abram is raising $25,000 for the start-up budget on a social justice ministry and outreach programs. Her campaign page is a great example of reaching people on an emotional level through a personal struggle. Bishop Abram has gone through a lot due to her sexual orientation and I was moved by her story, not to mention proud to be an Iowan where she was able to go to marry. Whether your own story is as emotional or as moving as hers, your campaign needs to reach people at that emotional level. There are thousands of worthy causes crowdfunding right now, you need to make yours personal to stand out. The campaign raised $14,389 from 237 people over about a year and a half. While it’s short of the $25,000 goal, that is still a huge amount to crowdfund and from an amazing number of people. The campaign has 560 shares on Facebook and Twitter, a big factor in reaching so many people. The great thing about GoFundMe is that church fundraising campaigns do not have deadline dates. You can continue to use the site to raise money for your church fundraising idea to keep supporting your faith and causes. All of the church fundraising campaigns above were launched on GoFundMe, which allows non-profit crowdfunding without a deadline. There are other crowdfunding platforms that might work well for your campaign and you might want to check out my Ultimate List of Crowdfunding and Fundraising Websites for details on each. Before you leave, be sure to check out our mega-list reference of 33 expert tips on their #1 way to boost your fundraising ideas or crowd campaigns. Got a tip for church fundraising ideas in crowdfunding that you didn’t see here? Please use the comments section below to share it. Also, please use the social share buttons on the left side of the screen to share this post with people that need it. Thanks Chuck. Great to see these crowdfunding websites for genre groups because people tend to donate more when the share a common bond with the crowdfunder. 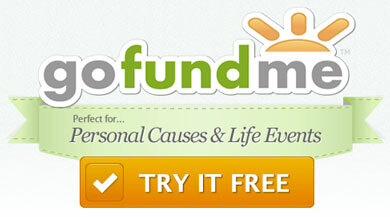 For this kind of social crowdfunding, the best platform is usually GoFundMe. It allows the charitable crowd campaigns so you don’t have to worry about giving away rewards like you would on Kickstarter.